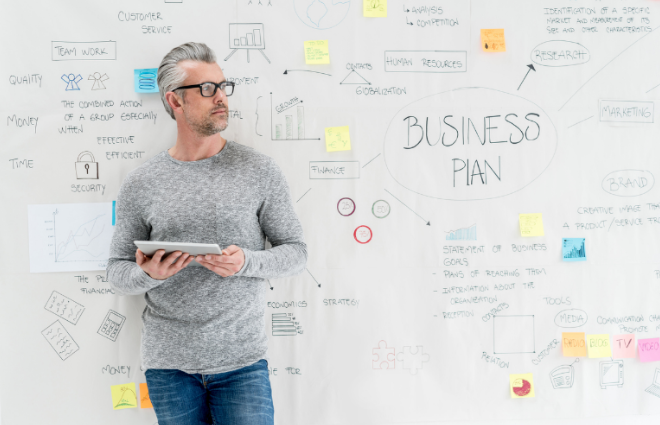 One of the simplest ways to think about business cases is to think in terms of stakeholders, benefits, KPIs, costs, and risks over time frames. While that’s the basic frame, there’s a bit of art and science when it comes to building effective business cases, especially when it involves transformational change. Lucky for us, in the book, Leading Digital: Turning Technology into Business Transformation, George Westerman, Didier Bonnet, and Andrew McAfee, share some of their lessons learned in building better business cases for digital initiatives. The more you can link your roadmap to benefits that people care about and can measure, the better off you are. On a good note, the same building blocks that apply to any business case, apply to digital initiatives. Building a business case is an art and a science. To avoid getting lost in analysis paralysis, start with what you know. “Building a business case for digital initiatives is both an art an a science. With so many unknowns, you’ll need to take a pragmatic approach to investments in light of what you know and what you don’t know. If you only consider the technology part of the story, you’ll miss the bigger picture. Digital initiatives involves organizational change management as well as process change. A digital initiative is really a change in terms of people, process, and technology, and adoption is a big deal. If you don’t work backwards from the end-in-mind, you might not get there. You need clarity on the business outcomes so that you can chunk up the right path to get there, while flowing continuous value along the way. “Frame the benefits in terms of the business outcomes you want to reach. These outcomes can be the achievement of goals or the fixing of problems–that is, outcomes that drive more customer value, higher revenue, or a better cost position. Then define the tangible business impact and work backward into the levers and metrics that will indicate what ‘good’ looks like. For instance, if one of your investments is supposed to increase digital customer engagement, your outcome might be increasing engagement-to-sales conversation. Then work back into the main metrics that drive this outcome, for example, visits, like inquiries, ratings, reorders, and the like. To reduce risk, start with pilots to live and learn. This will help you make informed decisions as part of your business case development. “But, whatever you do, some digital investment cases will be trickier to justify, be they investments in emerging technologies or cutting-edge practices. For example, what is the value of gamifying your brand’s social communities? For these types of investment opportunities, experiment with a test-and-learn approach. State your measures of success, run small pilots, evaluate results, and refine your approach. Several useful tools and methods exist, such as hypothesis-driven experiments with control groups, or A/B testing. The successes (and failures) of small experiments can then become the benefits rationale to invest at greater scale. Whatever the method, use an analytical approach; the quality of your estimated return depends on it. While practice makes perfect, business cases aren’t about perfect. Their job is to help you get the right investment from stakeholders so you can work on the right things, at the right time, to make the right impact.